Dr. Hadas Mamane from Tel Aviv University | אוניברסיטת תל-אביב (Israel) is camping in KCT for 3 days. She heads the "Hadas Mamane Laboratory for Hybrid UV, AOPs and Biological Treatment of Water" in TAU. 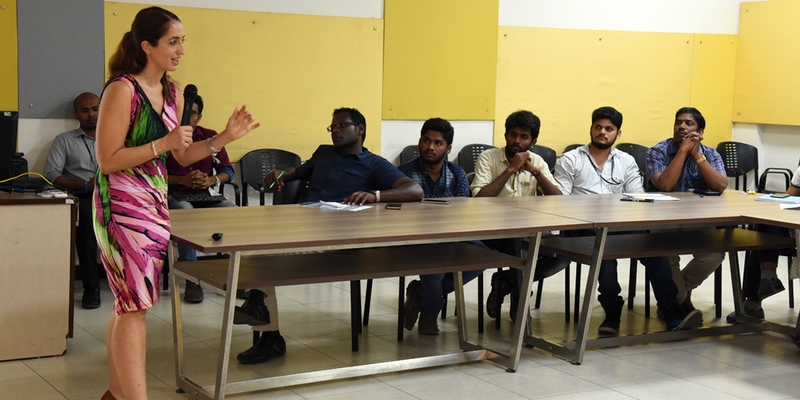 Discussions today focussed on collaborative research, joint post-graduate programmes, summer programmes In the afternoon, she delivered a talk on "Influence of water quality on model virus and pollutant removal by a novel N-doped TiO2 -coated Al2O3 ceramic membrane".